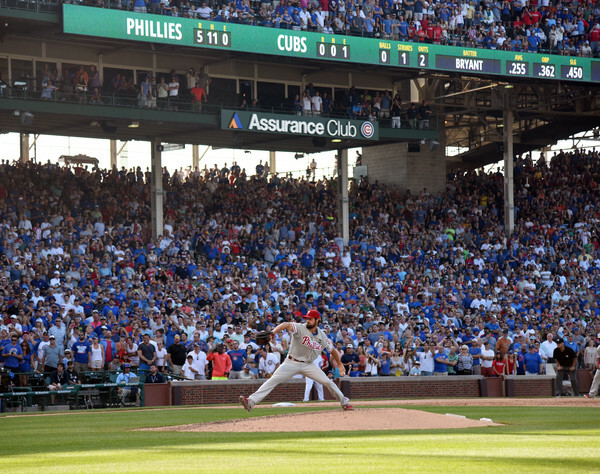 Cole Hamels possible final Phillies appearance was a legendary one. A Saturday afternoon at Wrigley Field was the setting. He racked up 13 strikeouts in a no-hitter (he issued two walks) and a 5-0 Phillies win. The latest reports have him in a flurry of trade rumors around baseball. If this was his last start as a Phillie; he’s sure to have given them a parting gift that Phillies fans will remember for life. It’s a special thing when a no-hitter comes to us all on a Saturday afternoon in the middle of the summer, especially at such a legendary ballpark. Unfortunately, I didn’t see any of this. I was on daddy duty from 9 AM to 6 PM and Disney Junior graced my television screen. When I saw what Hamels had done, I had to get this post up.